This image of M15 was taken by Mike Lancaster on the 14th November 2014. It is a stack of three 120 second exposures taken with a Mallincam Xtreme X2 camera at AGC2 using an Astronomik CLS-CCD filter through a 10" Meade LX200 ACF on an NEQ6 Pro mount. 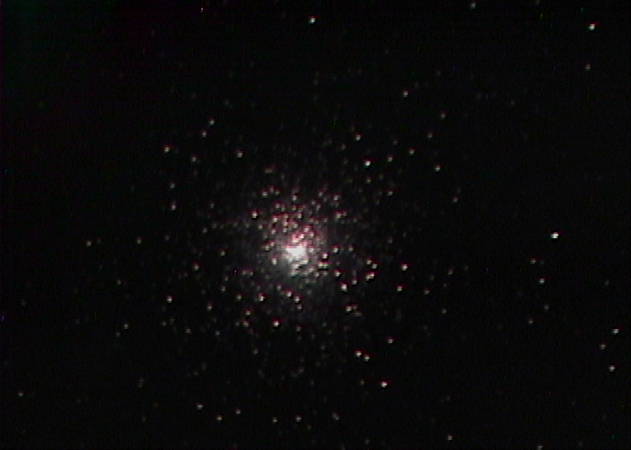 Setup was guided using a Lodestar camera through a piggybacked 80mm refractor. Stacking in Nebulosity and processing in Photoshop Elements. 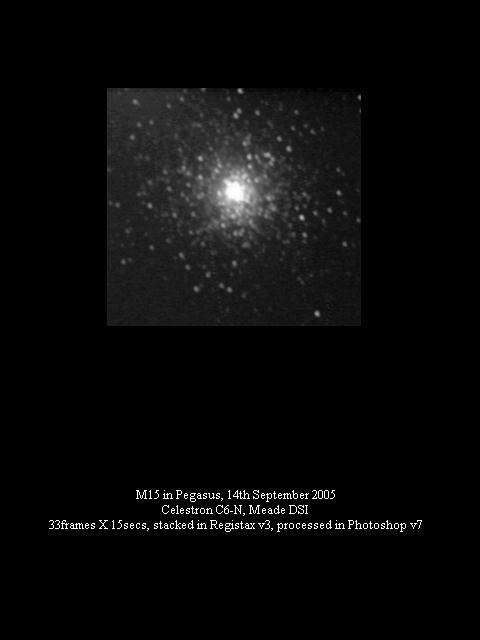 Chris Newsome took the following image of M15 on the 14th September 2005.